Not only did the TTRA’s new President, the effervescent Maria Costello, promise to raise the profile of this venerable body after riding in to be announced at the recent annual lunch, she engineered a sizeable improvement to its bank balance. Or rather her table of supporters did. The National Motorcycle Museum event, packed out with TT riders both past and present, is rounded off with an auction by Bonhams of memorabilia, pictures and paintings signed by the greats plus tickets to the British MotoGP, the Goodwood Revival et al. Always well supported by members of the Association, emboldened by more than one fuel stop, the auction this year raised what was thought to be a record amount - £14,500 and counting - a sizeable proportion coming from Maria’s table of supporters, including her mum. So the most successful female rider the TT has ever seen with several podiums to her credit cannot be accused of not putting her money where her mouth is. And she adds to her mission of getting more recognition and more participation for women riders a special one during her year as TTRA President - helping Frances Thorp and her team of volunteers to attract more young members to a charity which supports injured riders and their families in times of need. 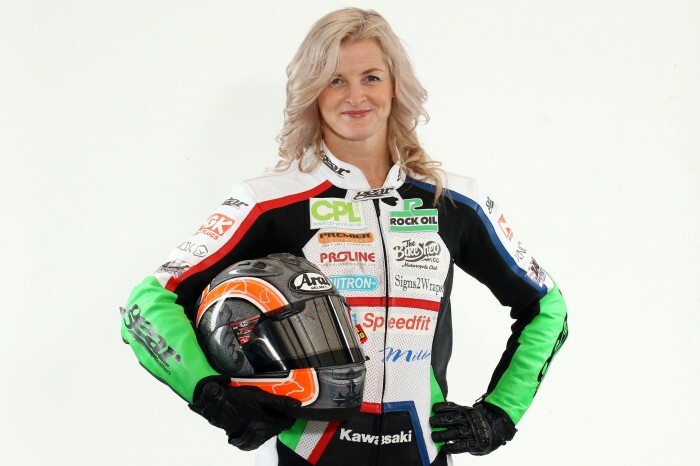 Maria, who intends to ride in both the sidecar and solo classes in the TT next year, was welcomed into her new role by Nick Jefferies. Little did the audience know that the Yorkshireman, a TT star in his own right, was feeling proper poorly and on being taken to the medics when he got home was told he had suffered a heart attack. Fortunately, a relatively mild one but nevertheless requiring hospital attention. They breed ‘em tough in Yorkshire.